Have Type 1 Diabetes and are insulin-dependent? 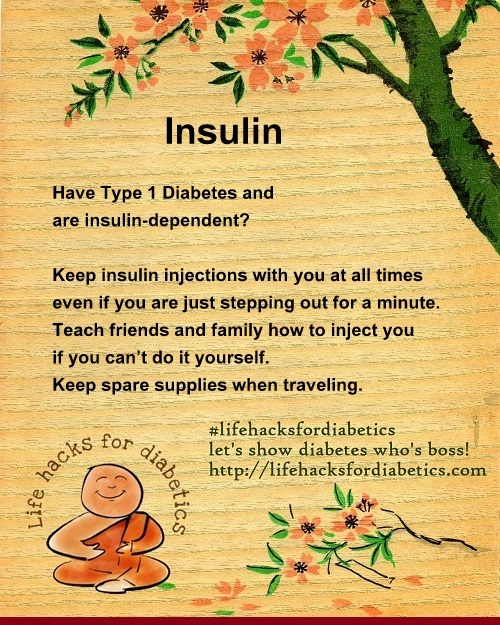 Keep insulin injections with you at all times even if you are just stepping out for a minute. Teach friends and family how to inject you if you can’t do it yourself. Keep spare supplies when traveling. More about Insulin and living with diabetes here.